hi,whethere the phone will work in south india? 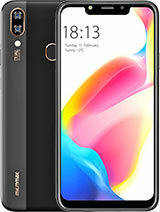 I am hearing that this phone is made only for north india, also the camera will not take pictures if it is exposed to sunlight, we needs to give the phone a whacking before the cazmera is working, 'whacking then working' is teh company logo on their website, good fone overall, I will rate 0.5 on 10. Good score I think. What you say now peoples? I am saying that we should all joing together as 1 and attached the W900 to our faces! YAH! Praful, 29 Jun 2010Hey I am using W900 from past 10 days. It's goo. 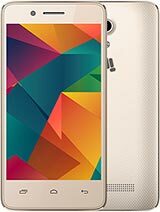 It's a good deal for 7700/-INR, It has lates ... moreR u able to make video from this mobile??? Hi. Can you connect this phone to pc and transfer messages, contacts to pc and does it have a pc suite??? 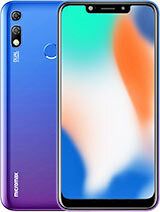 Well, you guys think this is a copy of Nokia.. but isn't Nokia trying to copy the iphone... Well small players always try to follow the big players so don't mind it. Also you guys should see the price tag of this phone.. Its much cheaper than the 5800 with windows OS.. It has a high speed processor.. so I can play a video of dvd quality at resolution 720X480 on this phone.. screen is also quite large.. SO u can directly get your dvd rips on the phone & enjoy. Sadly the O.S is primitive as the latest is windows mobile 6.5 it offers 6.1.. Also windows 7 mobile is going to be out soon.. Hope mmx fixes it up. 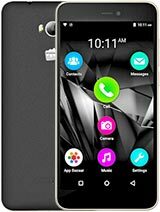 If you have a mobile phone say Sony ericsson cybershot or any other phone you can use it as a second mobile beacause if you are going to buy this phone for camera.. you will be disappointed. A few months back I thought Micromax was the worst of the Indian brands- this after I personally checked out the X225. Pretty soon they started promoting their handsets aggressively and I wondered why spend so much on bad products?... only yesterday I found out about the W900 and man did I get hard! Today I'm seeing Micromax in GSMarena!!! 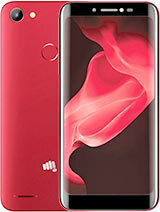 Micromax on GSMarena!!! Does this mean Micromax has gone international? Anyway, I want to demo the W900... anyone know where in Bangalore I can do this? A few months back I thought Micromax was the worst of the Indian brands- this after I personally checked out the X225. Pretty soon they started promoting their handsets aggressively and I wondered why spend so much on failed products... only yesterday I found out about the W900. And today I'm seeing it in GSMarena!!! Micromax on GSMarena!!! Does this mean Micromax has gone international? Anyway, I want to demo the W900... anyone know where in Bangalore I can do this? Hey I am using W900 from past 10 days. It's goo. It's a good deal for 7700/-INR, It has lates SPB Home Screen Customizer, 'MapmyIndia' Navigation and 'swype' input s/w. etc. It has Wi-Fi and FM as well. Everything is very good except Camera (2mp low quality) and Screen Resolution is also very low. But considering the cost factor and Windows 6.1 Professional OS, this a very good deal. Everything works fine. The Bundled software apps are worth 4K retail price. So overall I can recommend who want a low cost Windows Touch Screen phones with added advantage of Navigation Software. Can someone please provide details of GPS functionality?? ?